Recently I watched two documentaries that included “I Am” in the titles. These simple titles belied the complex subjects of the films. That was a conversation between me and the Go Airport Express shuttle driver/de facto tour guide en route to O’Hare on a cold, winter’s morning in Chicago. OK, calling that a conversation might be a stretch. I had been up since 4:30 AM and was neither awake nor caffeinated enough for small talk. But sadly it is true that Chris Farley left this world too soon in 1997. 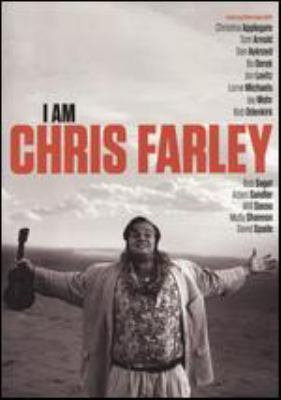 The documentary I Am Chris Farley starts with his siblings discussing growing up with Chris. Next is his rise as a comedian at Chicago’s famed Second City Theatre, his joining Saturday Night Live in New York City, and making name for himself in Hollywood with movies like Black Sheep and Tommy Boy. There are lots of fun facts in this film. One of Chris’s most famous characters, Motivational Speaker Matt Foley whose catchphrase was “You’ll be livin’ in a VAN, down by the RIVER!”, was named after Chris’s college rugby teammate. The real Matt Foley is now a priest and makes an appearance in the film. My favorite Chris Farley sketch is his awkward interview with Paul McCartney, because who wouldn’t be absolutely starstruck in Sir Paul’s presence? What is most profound about the documentary is that through the interviews with Chris’s family, friends, and SNL castmates (such as David Spade, Mike Meyers, Chris Rock, and Jon Lovitz) you can see how deeply loved he was by those around him. If you loved Chris Farley, too, then this documentary is a must-watch. Like most kids growing up in the 1980s, Jim Henson’s creations entertained me. 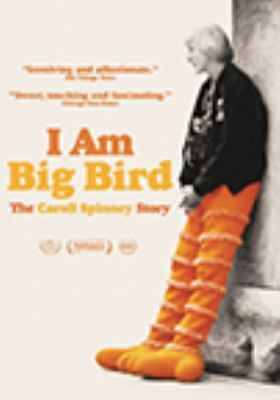 Although Fraggle Rock was my favorite of the Henson canon back then, I found this documentary, I Am Big Bird: The Caroll Spinney Story, about the man who plays Big Bird, fascinating. Sidebar: Is there anyone else out there who, as a kid, thought Big Bird was a girl? I did when I was young, for some reason, until learning that Big Bird is a boy. But I did know this fact well before seeing the film! Caroll developed an interest in puppeteering as a child, creating and performing with his own puppets. Jim Henson and Caroll started collaborating when Caroll joined Sesame Street in 1969. He has been playing Big Bird since then, among other characters like Oscar the Grouch. Jim and Caroll had a close relationship, and Caroll recounted in the film his grief after Jim died suddenly in 1990. I learned after watching this documentary that Big Bird was scheduled to join the ill-fated Challenger mission in 1986. Since it would have been difficult to operate the Big Bird puppet without gravity, Caroll’s spot was ultimately given to teacher Christa McAuliffe. Anyone that grew up watching Sesame Street will enjoy this film. You will also learn that Caroll Spinney is an accomplished artist and musician, in addition to his talents as a puppeteer. He has certainly brought many children around the world joy as Big Bird. I like to end my blog posts with connections between the materials I suggest. Does anyone remember when Big Bird appeared on Saturday Night Live in 2012 after Mitt Romney mentioned him in the presidential debate? Click here for the video.